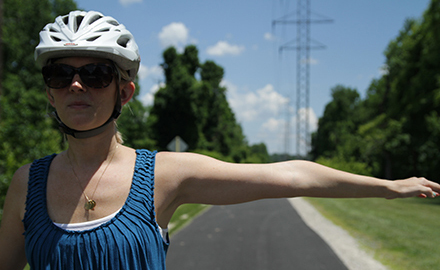 Do you know all you need to feel comfortable and safely ride a bike with traffic? Do you feel you know enough to teach your children how to ride cautiously and conspicuously while on their own? 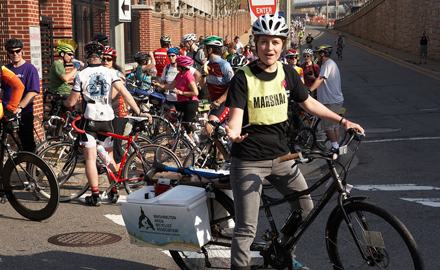 When you drive a car, are you confident on how to share the road with people on bikes? The Smart Cycling program gives you the tips, tools, and techniques to confidently to answer YES to each question. Our classes are taught to children and adults across the country by certified League Cycling Instructors (LCI). We combined content from Traffic Skills 101, Traffic Skills 201, Group Riding and Commuting curricula into a single Smart Cycling manual, which can be used for a wide range of audiences. There are basic, intermediate and advanced building blocks to meet the needs of any rider from beginner to experienced. The Smart Cycling curriculum is designed to develop confidence and competence of a bicycle rider. Students will learn about choosing a bicycle, basic parts of a bike, essential equipment, as well as how to safely and comfortably ride your bike in various traffic conditions, terrain and climates. 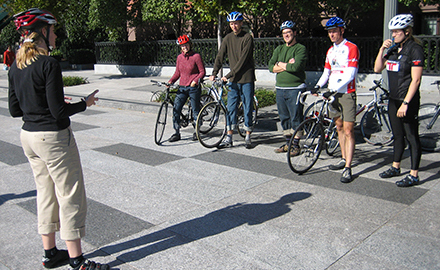 Typically a Smart Cycling course includes four hours of classroom instruction, which can also be done on-line at bikeed.org, and five hours of on-bike instruction. Locate a class near you through our Connect Locally map. 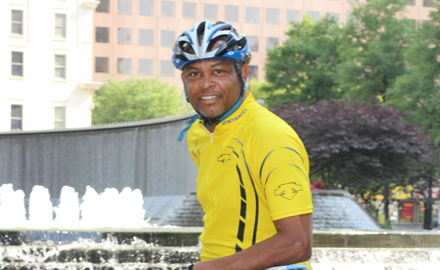 All Smart Cycling classes are taught by a League Cycling Instructor (LCI). Visit the League Store to order Smart Cycling manuals, bike education videos, Quick Guides and other valuable resources to make you a smart cyclist! Bicycling Skills 123 Youth is composed of 13 on-bike stations that teach children better bike handling skills. Typically, this is a two hour course. Locate a class near you through our Connect Locally Map. All Smart Cycling Bicycle Skills 123 Youth classes are taught by a League Cycling Instructor (LCI). The LCI training seminar focuses on teaching and demonstration techniques when instructing a Smart Cycling class. The seminar emphasis is on how to teach bicycle safety and skills so as to provide increased comfort and confidence for new and returning bicyclists and youth. Candidates get hands-on experience during the seminar to practice facilitating parts of the curriculum, both in the classroom and on-bike. The seminar is normally one evening and two full days. Generally, 1/3 of the time is on-bike, so be prepared to ride! Click here to find a seminar near you. Are you interested in riding, but could use a little more information to help boost your confidence? Our education videos are a great place to start! The League’s education program offers the only nationwide instructor certification program. Can’t find a class in your area? Contact a local instructor! These tip sheets will help you learn more about how to ride safely and perform maintenance on your bike.